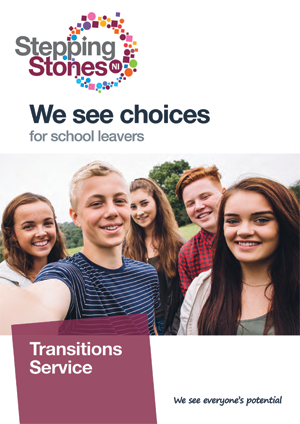 Our Transitions Service supports school leavers to plan their next move and make an informed choice about further education, training and work. I’ve made new friends, built my confidence and become more independent. My Transitions Officer helped me secure a work placement and I now have a paid job out of it. I love it! We will support you at your own pace, and provide valuable and interesting experiences to meet new people, grow in confidence and learn new things. Our team are experienced at supporting young people who have Autism, ADHD, Dyslexia, learning difficulties and learning disabilities. We understand that you may have complex needs or just require a little bit of help, and look forward to developing a personalised transitions plan suited to you. Our Transitions Officers support young people in schools to make informed decisions about their next move. We understand the challenges young people face and know it can be daunting to think about what you are going to do when you leave school. Our team will guide you through all of the options. Over the years we have developed close links with special and mainstream schools to provide the support and guidance that young people need to take the next step forward. With the right support, we know that you can develop a pathway to a bright future. We will help you transition from school providing guidance and signposting to all the choices available. “As a parent it’s hard to know the steps to take to make sure your child moves on to a happy, safe, productive setting when they leave school. You rely so much on support from the professionals involved in your child’s life. Thankfully, the Stepping Stones NI Transitions coordinator attended Ellen’s annual reviews at school once she turned 14. This meant the Transitions coordinator got to know Ellen, and her abilities and interests, over a few years and was able to develop a plan that met her needs perfectly. Our Transitions Officers work with young people in schools to plan for and make further education a reality. Moving onto further education may be your ideal next step but also a daunting next move out of the school setting. We understand this and know that if you feel supported you are more likely to enjoy and progress onto further education. We work with schools and young people to organise work experience and work placements that provide a valuable insight into the world of work. Our Transitions Officers support young people in the school setting to identify areas of work they may be interested in. We then utilise our connections with employers to organise work experience that fit into the school timetable or to suit the young person outside of that schedule. There is also opportunity for young people to gain work placements in our social enterprises after school. Our social enterprises offer a ideal opportunity to experience a real life working environment. All trainees are supervised by qualified and experienced job coaches who oversee training and development. You can try out work placements in catering, hospitality, picture framing and wedding stationery production. Work experience and work placements are hugely valuable to young people helping them to advance their social and communications skills. Young people also gain new skills which are transferable to future education, training and work. We support our young people throughout their work experience/placement by checking in with them and the employer. Our goal is to ensure that each young person gets the most out of the experience so that that they can develop and go further. Each young person is provided with feedback and in some cases our young people are offered paid employment after serving a successful placement. If you or someone you know could benefit from support to secure work experience or placement contact us today and we will talk you through our support package. “The Transitions Service at Stepping Stones NI advised us and suggested things I wouldn’t even have thought of. It is great to have someone who could guide you when your child is leaving school and listened to what Kirsty would like to do. They had many contacts to help and support Kirsty and arranged work placements on her behalf. We offer short training courses in schools to help students develop new skills, confidence and independence. Courses are planned into the school timetable with pupils attending once a week for a duration of around 4-6 weeks. Money Management: helping young people become more independent and to manage their money more effectively. Workplace Behaviour: helping young people to understand how to conduct themselves in a workplace environment and what to expect from an employer / employee relationship. Talk to us if you would like a course to support your students incorporated into your school timetable. “The Transitions Service helped me find what I wanted to do, I had some taster days to look at my choices when I left school and they gave me Money Management training while I was in school, it helped me count money out better and helped me budget my money. They got me a work placement in Coiffeur hair and beauty, I loved it, I got to do things I enjoyed as well as learning new things and it let me taste what it was like to work in a beauty salon. I have now decided to go on to study beauty and nails because I found a job I’d like to do in the future. 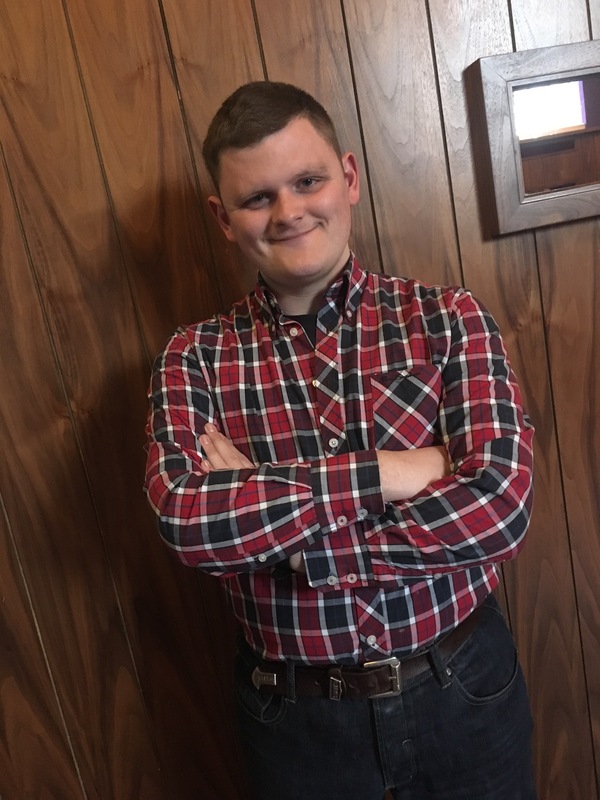 "Hi, I’m Scott, I’m 20 years old and thought I would tell you how I benefited from the Stepping Stones NI Transitions Service while a student at Beechlawn Special School. I found the support in school really helpful. I wasn’t sure what I wanted to do when I left school and to be honest I felt a little scared. The Transitions Service staff were really friendly and easy to talk to and they encouraged me to think about my future. The team helped me work out a plan. I knew I wanted to get a paid job but I didn’t know how to go about it and needed a push. I attended the courses on work place behaviour and money management. These courses really opened my eyes to the reality of growing up and becoming more independent. I learnt a lot and decided the time was right for me to go on a work placement. My Transitions Officer helped me to think about jobs I would be interested in. I thought a job in hotel would be interesting and exciting. I was supported to secure a work placement at the Premiere Inn in Lisburn and the good news is that it turned out so well they offer me a paid job!